Constipation is probably at the top of the list of low carb diet side effects. There are some natural remedies for constipation that may work. One is to eat a lot of leafy green vegetables. These are high in fiber which we all know helps to keep us regular. Also, you will want to drink plenty of water. Water is essential for digestive tract health. Whenever you drastically change your diet, there is a possibility of bad breath as another one of the low carb diet side effects. 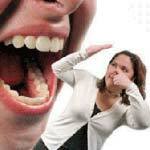 There are several bad breath remedies that may work to rectify this. You can try chewing mint leaves, or sucking on sugarless candy. You may also try gargling with baking soda and water. One of these suggestions should work. Some of the not so bad low carb diet side effects are lower blood sugar, lower blood pressure and a reduction of breathing problems. These “good” side effects are usually a result of losing a lot of weight. While it may be good news, be sure to notify your doctor. If you are on diabetic medication such as insulin or high blood pressure medicine, your doctor will most likely have to adjust the medication, or if you’re lucky stop the medication altogether. No matter what diet you chose, be sure to do your research and always consult with a medical professional, especially if you have medical conditions.